Purchase online VIPer22A DIP SMPS Primary Switcher in India at low cost from DNA Technology, Nashik. 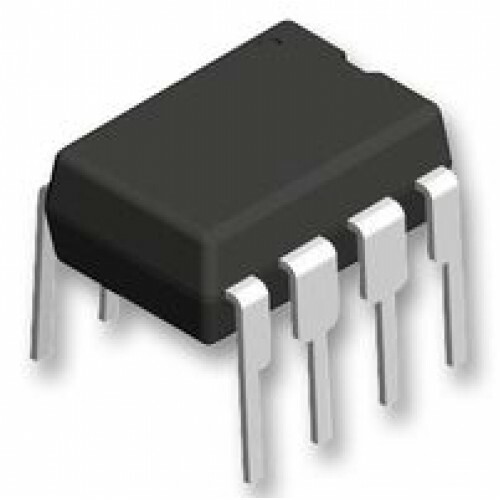 VIPer22A is a high voltage IC, intended to be used in off line power supply switching with advantage of having low part count and small size. The VIPer22A combines a dedicated current mode PWM controller with a high voltage Power MOSFET on the same silicon chip. Typical applications cover off line power supplies for battery charger adapters, standby power supplies for TV or monitors, auxiliary supplies for motor control, etc. Large input voltage range on the VDD pin accommodates changes in auxiliary supply voltage. This feature is well adapted to battery charger adapter configurations. Automatic burst mode in low load condition. Over voltage protection in hiccup mode.